During the drought this year, fire-fighters were on the ground every day tackling the flames and stopping the spread of the fires. We reported on the progress of the forest fires throughout this time. Now, we tell a different side of the story. You may recognise Idrus from the photographs in our recent fundraising campaign. Idrus is a local fire-fighter and part of CIMTROP’s Community Patrol Team (supported by OuTrop). Thanks to kind donations from our partners, emergency funders and the general public we were able to provide Idrus and the rest of the team with equipment and cover their operational costs during this challenging time. 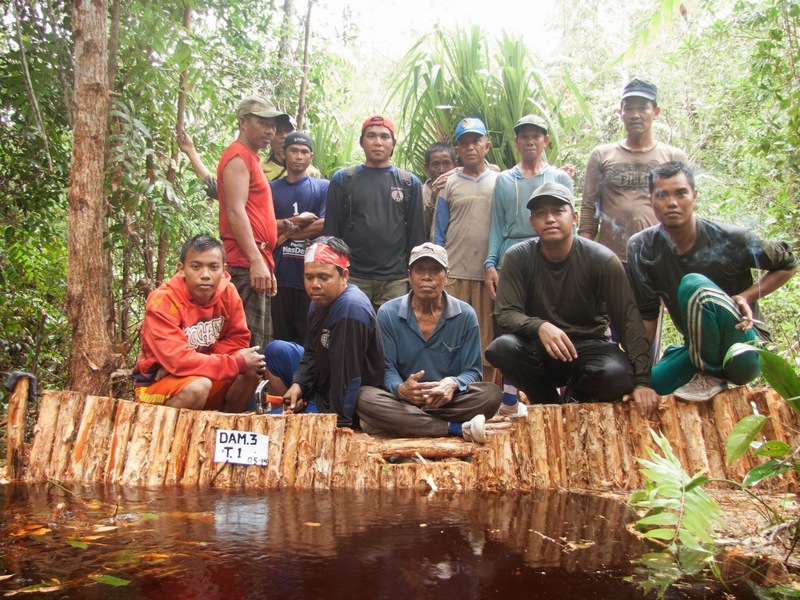 Here is Idrus’ story of how he came to protect the Sabangau Forest and the world’s largest population of orangutans. I have been working in the Community Patrol Team for nearly 10 years. Before joining the team I was logging in this area, mostly on the edge of the Sabangau Forest. I was chosen to work with CIMTROP because of my forestry skills and my knowledge of this unique habitat. Working with the Patrol Team, I have been able to learn about conservation for the first time. It has encouraged me to value the forest and want to protect it. Before I only saw it as a way to make money because of the resources it provided. As well as logging, I caught birds, fish and extracted oil from the trees to make perfume. Now, I understand and value the forest in a different way. We need to keep a balance in the forest. If we disturb one species then it can affect the whole ecosystem. Over the years the forest has been damaged. Older members of my family told me that they used to drink the water, go fishing and see crocodiles in the river close to my village. Sadly, this does not happen anymore. I hope that one day, we experience how things were in the past. But, we have a big problem; forest fires. 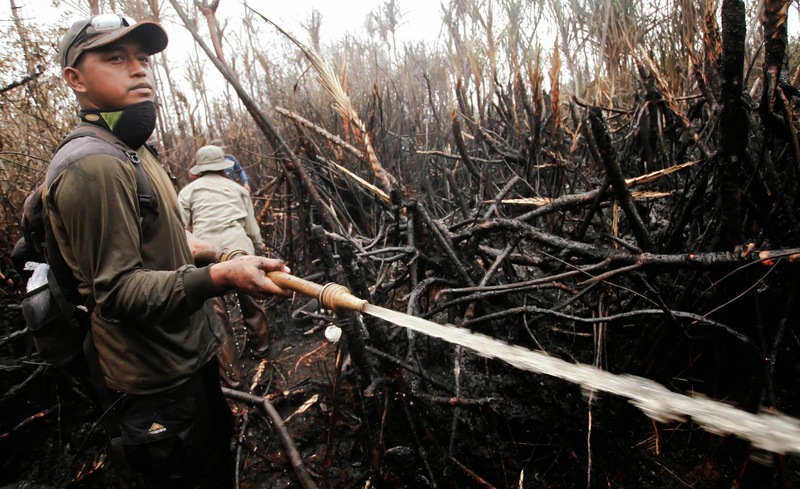 The fires have been bad this year, especially near the river and in Kalampangan Forest (close to Sabangau). People have been clearing the land on the edge of the river for easy access to the forest and to set fish traps. In the past few years, more people have started to fish due to an increase in the population and household income in nearby towns. The demand for fish has risen as well as fishing as a hobby. This means that people who don’t understand the forest, start fires without realising the impact. It makes me happy to know that we have received support from people around the world to fight the fires. It is very important that we had this support to buy equipment and recruit more fire-fighters. But our fight is not over yet. Although the fires have come to an end with the start of the wet season, we need to do a lot more work to prevent more fires in the future. Our plan is to increase the size of the patrol team and have more frequent patrols. This will allow us to work closely with the local communities to teach them about the value of the forest, how to prevent fires and we will involve them in our conservation projects, such as building more dams to re-wet the swamp. I hope in the future there will be no more fires, hunting and poaching stops, and the forest is healthy again. But there are many challenges, like an increasing local human population. I hope through our activities that we can encourage people to care about the forest and together we overcome any threats we may face.